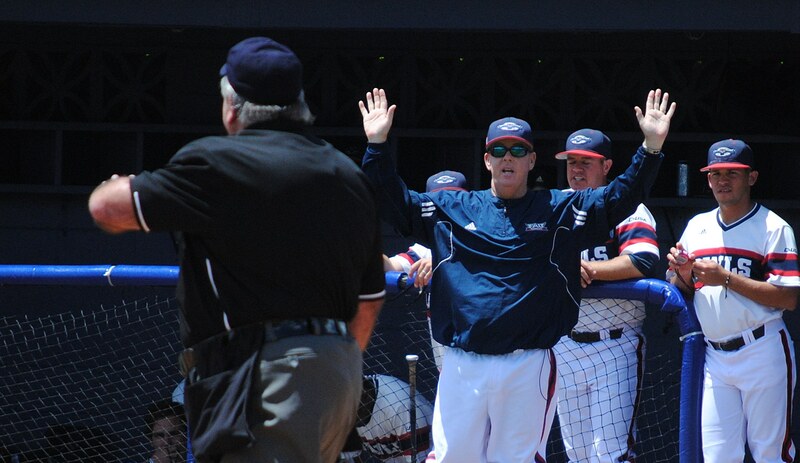 FAU baseball coach John McCormack challenges an umpire's call. 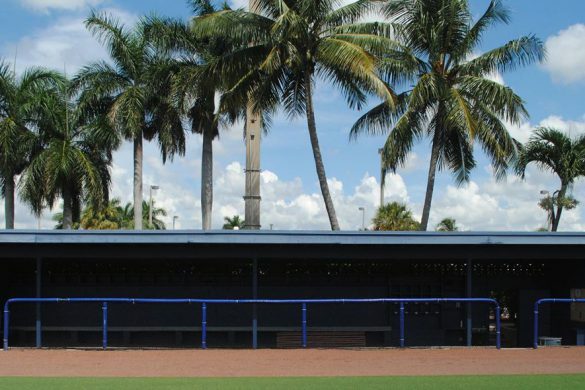 BOCA RATON – Miami is in Omaha. 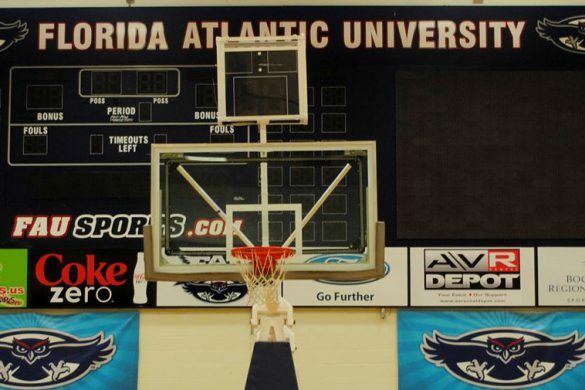 FAU (39-19, 21-8) players are scattered throughout collegiate summer leagues across the United States. 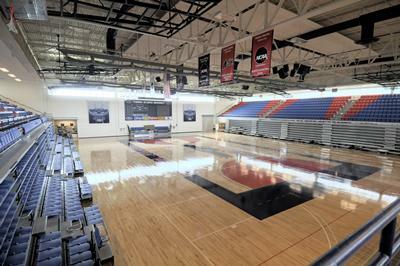 Not one will play in Omaha this season. 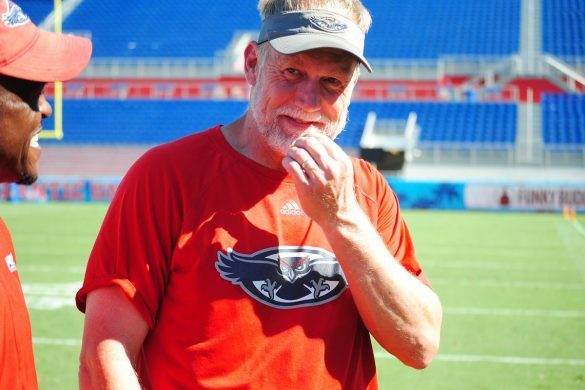 John McCormack, the Owls’ coach, remains in Boca Raton, sorting through everything FAU accomplished and endured this season. 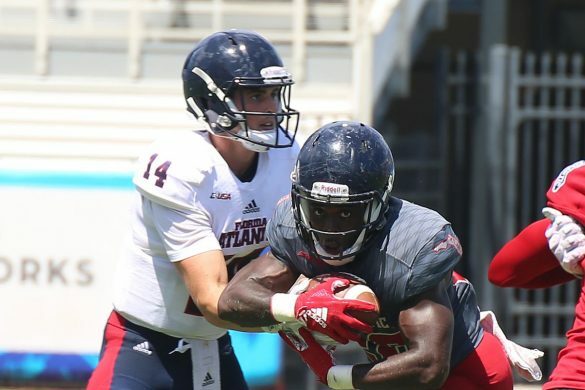 It’s true that FAU’s season ended earlier than the Owls would have liked, but McCormack should be more certain when evaluating this team’s season. What he and his staff accomplished in 2016 is, quite simply, remarkable. 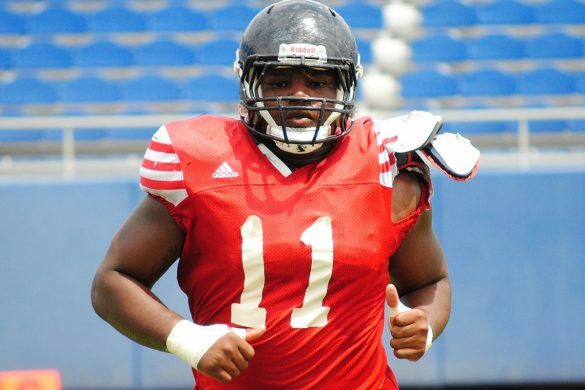 Perfect Game: McCormack is torn when trying to name his favorite highlight of the season. His second thought is correct. 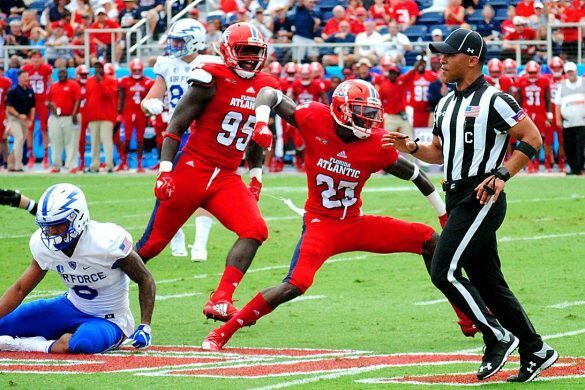 FAU entered the final weekend of the season in Conference USA’s fourth place. 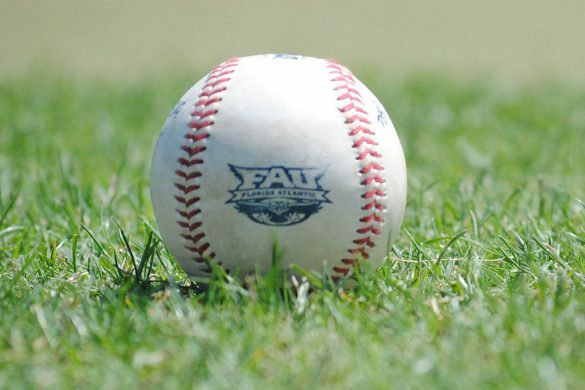 A sweep of Western Kentucky, which included a a 4-3 extra-inning affair in the series opener, plus some timely losses by the teams ahead of the Owls in the standings yielded FAU its first C-USA regular-season title and cemented an NCAA Tournament berth. 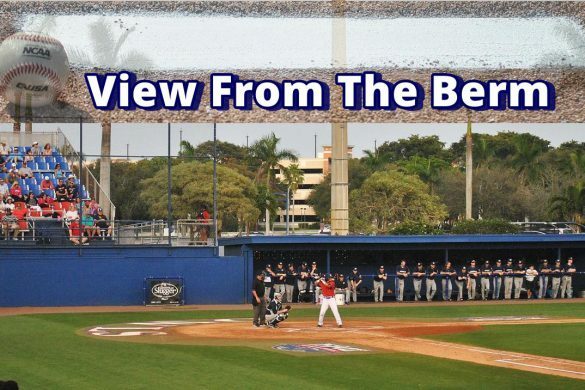 Grand Slams: FAU started the season better than anyone had the right to hope. 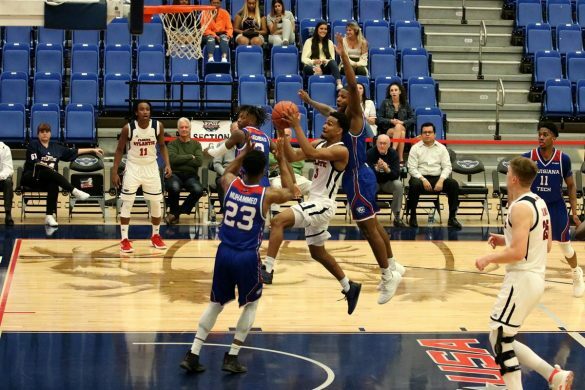 The two wins over Mississippi St. were part of a 12-1 run to start the season. 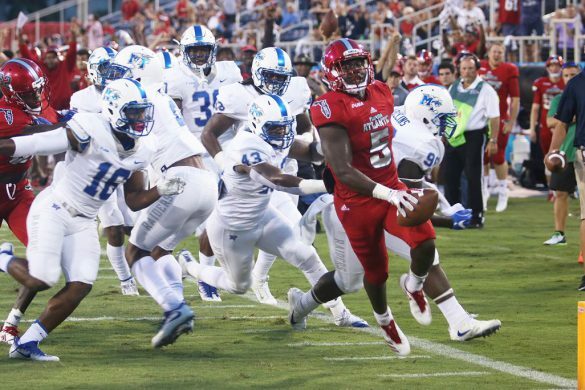 …It’s arguable that the wins over Mississippi St. weren’t the Owls biggest victories of the season. That honor probably goes to the 4-3 victory over then-No. 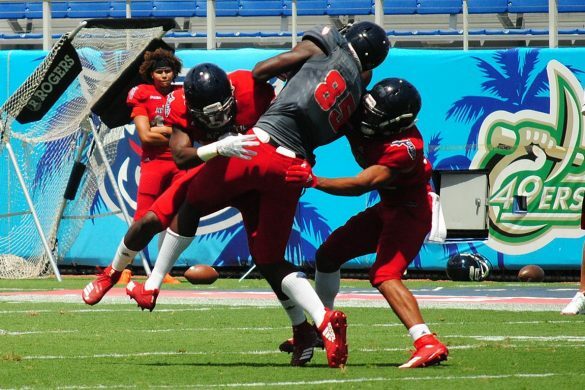 1 ranked Miami. 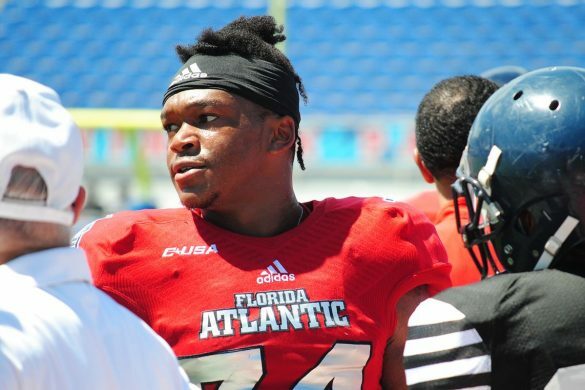 …FAU fans were afforded the opportunity to watch a star every time the Owls took the field. 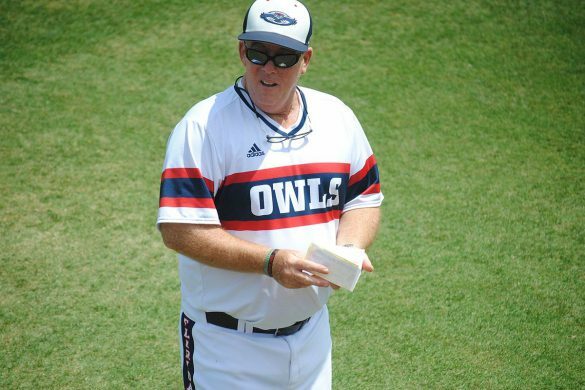 Shortstop C. J. Chatham was one of only two Owls to play in every game this season. 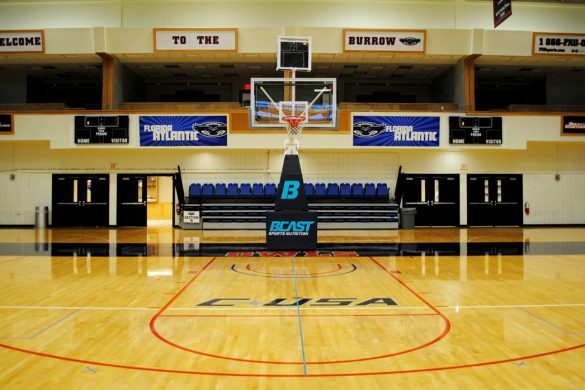 He became the Conference USA Player of the Year and was selected to multiple All-American teams. 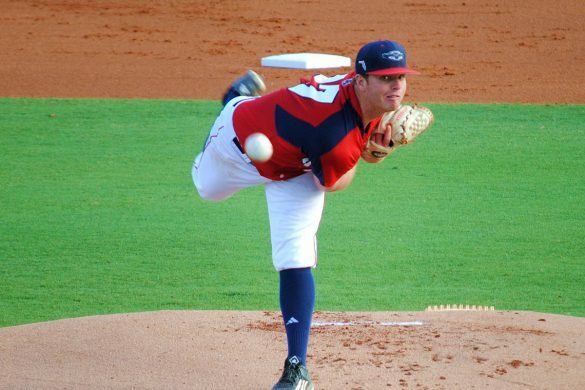 Last week Chatham became the highest-drafted athlete in FAU history when Boston selected him in the second round of the MLB Draft. 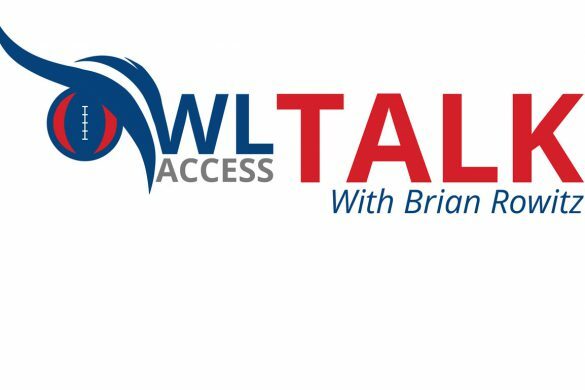 Strikeouts: The Owls have become a regular in the NCAA Tournament, but that first game of the regionals is still a roadblock. 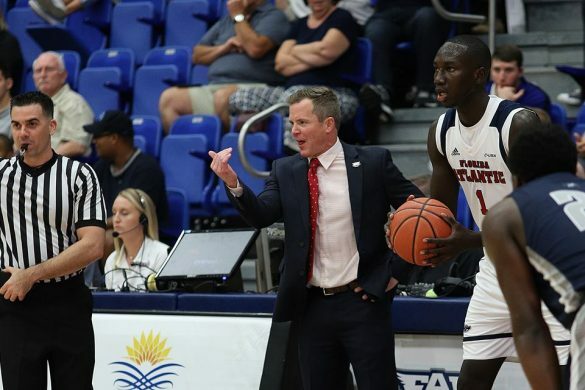 FAU’s 5-1 loss to Long Beach St. in the opening game of the Coral Gables regional marked the sixth consecutive time the Owls have lost their opening game in NCAA play. 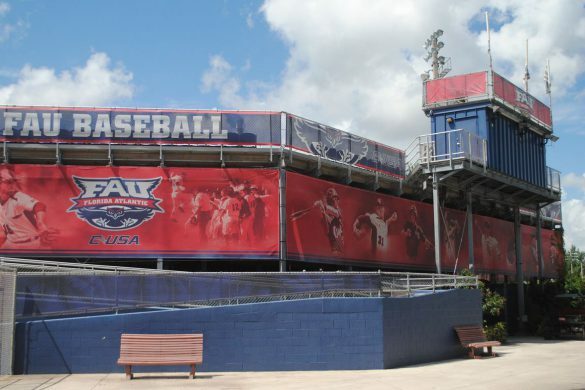 …As a staff, FAU pitched exceptionally well all season, posting a 3.24 ERA that ranks 21st in the nation. For some reason that didn’t apply to Friday nights. 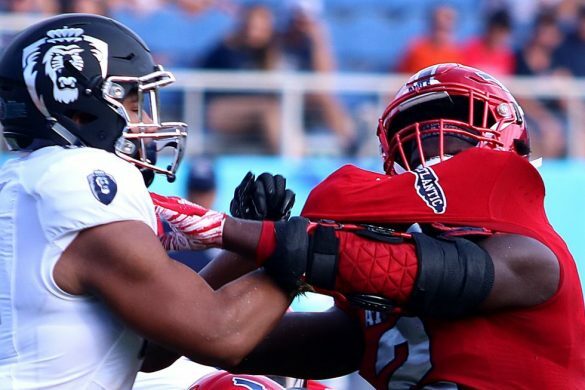 The Owls tried three different Friday starters but never found the dominant arm that would have been a difference maker during the C-USA and NCAA Tournaments. …Starting outfielders Billy Endris, Christian Dicks and Brett Lashley hit .288, .276 and .274 respectively, with a combined three home runs. 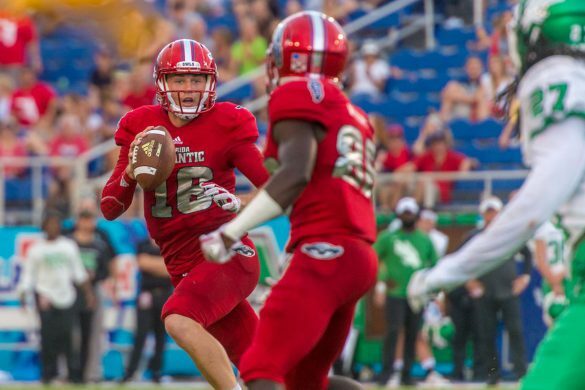 Wait ‘Til Next Year: FAU lost perhaps the best player in program history when Boston selected Chatham in the second round, but the draft wasn’t entirely unkind to the Owls. Second baseman Stephen Kerr’s second-half slump kept him from being chosen, which means the three-year starter will return for 2017. 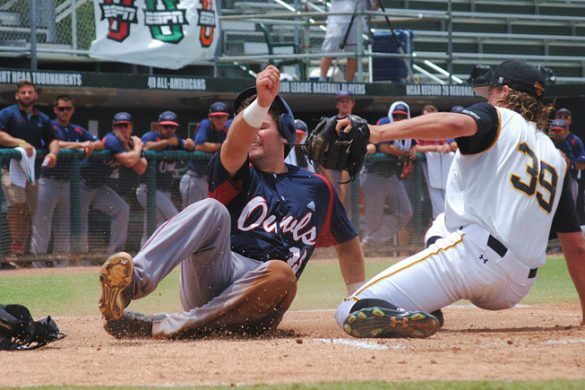 First baseman Estaban Puerta, the Owls’ home run leader with 10, also didn’t get selected so he will be back. …Frank moved from behind the plate to his natural spot at shortstop when Chatham hurt his hand in the NCAA Tournament and looked like a potential All-Conference performer there. 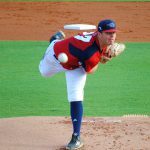 …FAU brought in Jared Shouppe to be a power bat in 2016, but he missed the entire season after undergoing ACL surgery. He’s expected back next season. 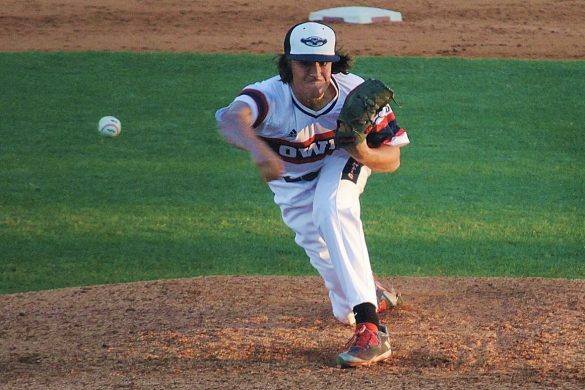 …With a 5-1 record and 1.96 ERA on the season, Sean Labsan was arguably the Owls’ best pitcher in the second half of the season. He was also strong enough with the bat to serve as his own DH. He’ll be back next year. …All three outfield starters were seniors. 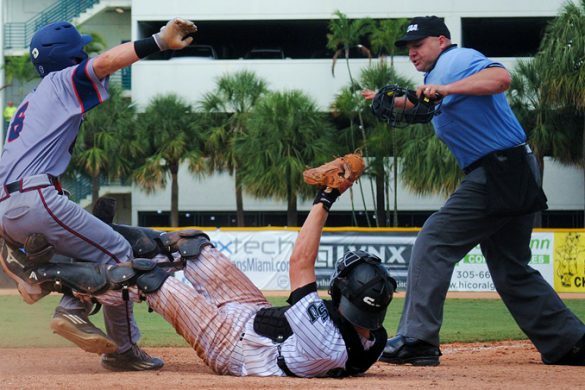 The Final Out: A common talking point when teams review their season involves overcoming adversity. 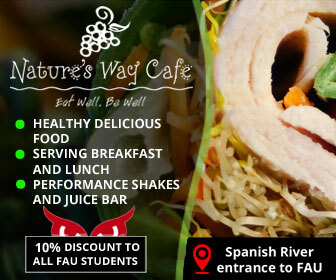 In FAU’s case, it’s so much more than talk. 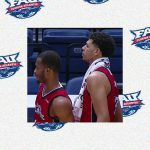 FAU endured more blows to the gut in the months leading up to the season than most players do during their college career. McCormack’s father, Gene, a huge supporter of the team who knew every player, died suddenly following the 2015 season. During the fall doctors diagnosed John McCormack with cancer, prompting surgery followed by chemotherapy and radiation treatments that carried into the season. 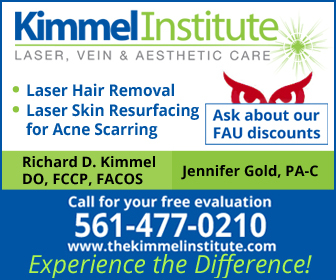 A couple months after learning catcher Ryan Miller wasn’t returning for his sophomore season, the Owls lost their only other experienced catcher when doctors diagnosed Kevin Abraham with Non-Hodgkin’s Lymphoma. Abraham didn’t attend school during the spring as he underwent treatment. 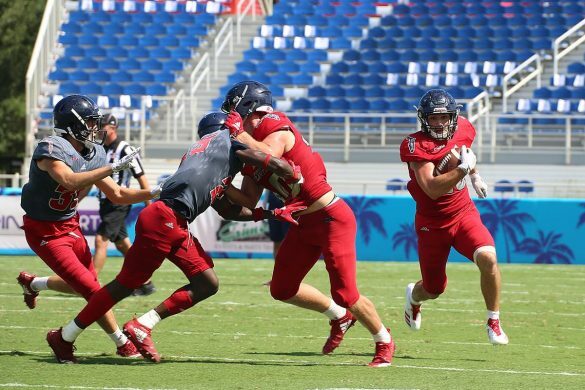 FAU defeated some of the top programs in the country and ended the regular season ranked No. 13 by Baseball America. 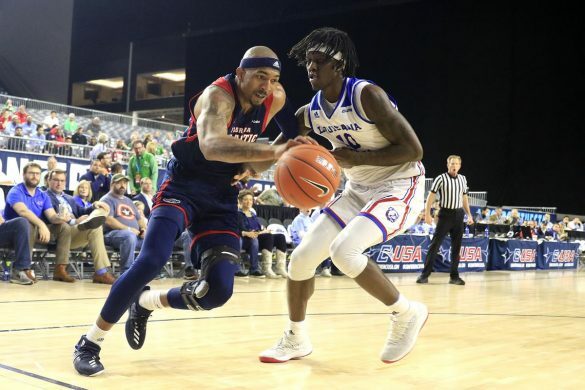 The Owls received their third invitation to the NCAA Tournament in four years and, despite the fact that they went 1-2 in the Coral Gable Regional, this was still a magical year for the Owls. They proved to be resilient. They proved to be winners. 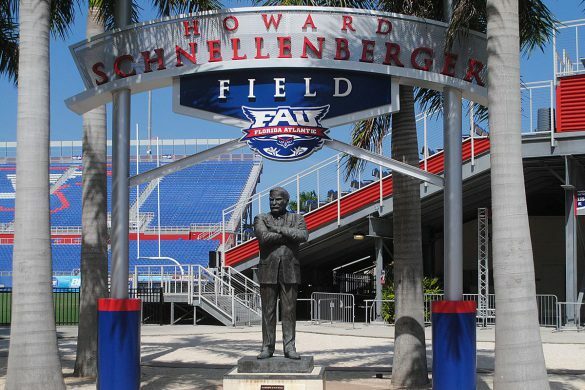 They, along with FAU fans, should be proud.